You can now add co-teachers to your classes which means they can create announcements and assignments as well as view grades and student work submissions. If you aren’t already using Google Classroom, it’s a streamlined, user-friendly way to distribute class documents and resources as well as engage in online class discussions with students. It’s being used in grade 3 – 12 throughout the district. 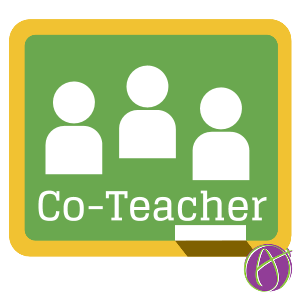 I’d be happy to come into your class to help get you and your students up and running with Google Classroom, if you are interested! Click HERE to view more information about the latest updates.